Like Kollyinsider reported yesterday, Dhanush is teaming up with Vetrimaran for 'Vada Chennai'. Dhanush confirms the news. Dhanush is working with cinematographer turned director Velraj’s second film tentatively called as Velai Illa Pattadhari-2 or VIP 2. The film has Samantha in an entirely new and homely avatar, the pictures of which have been released recently. Amy Jackson plays a important role in the movie. It was known that Vetrimaaran planned a film titled 'Vada Chennai' with STR in the lead few years ago. But the project could not take off due to various reasons. Now, it seems efforts are on to revive the film. According to sources, Vetrimaaran will give a fresh lease of life to 'Vada Chennai', with Dhanush replacing STR as the protagonist. Dhanush confirms the news in his twitter page. 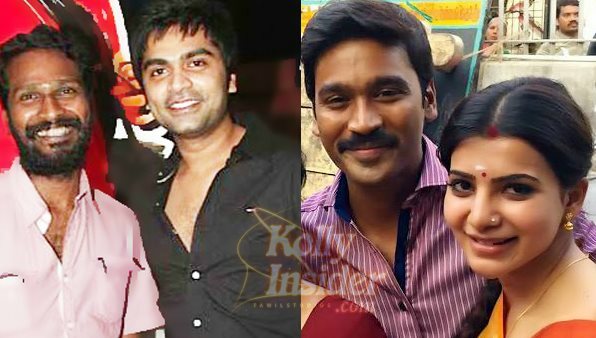 To be noted the Chennai born girl Samantha is paring Dhanush again for Vada Chennai, after her on going project with Dhanush in VIP. The movie is scheduled to start from September as noted by the actor. "Actually, the 'Polladhavan' and 'Aadukalam' duo was set to do a movie titled 'Soodhadi'. But it appears now that they would do 'Vada Chennai' first and 'Soodhadi' next," sources said. Meanwhile, Dhanush's 'Maari', directed by Balaji Mohan, is gearing up to hit the screens.